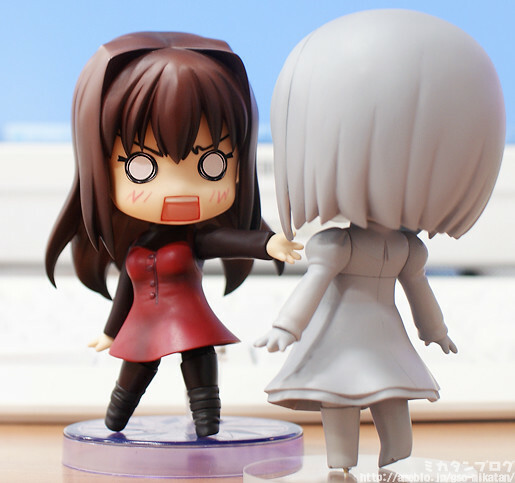 Just a few hours after the official announcement by GSC, Mikatan also got her hands on the new Nendoroid Aozaki Aoko from Mahou Tsukai no Yoru. She has three expressions: smiling, shouting, and chibi face. She does not come with a great variety of parts and accessories, but she brings along a special magic circle pedestal and magic effect parts to re-create the scene when she is casting a spell. Anyway, you can see more pics on Mikatan’s blog post. 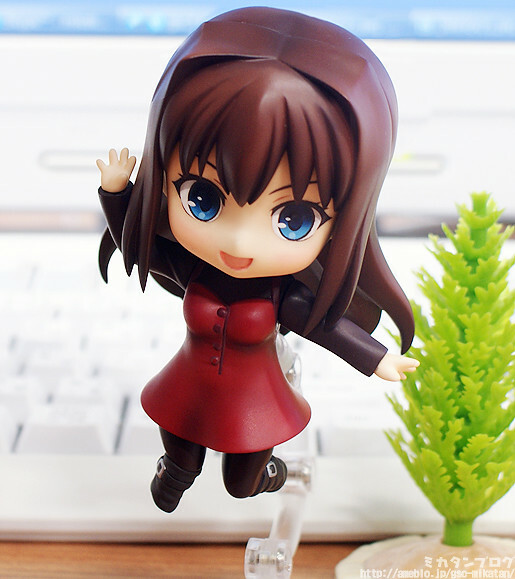 This entry was posted in News and tagged aozaki aoko, mahou tsukai no yoru, nendoroid, type-moon.